Pelican Reef, one of the most sought after seaside cottages has some rare open dates commencing Aug.27- Sept. 17. This property is perfect for the die hard snorkeler or diver, beach lover or those seeking seaside bliss. Walk to my favorite dining at Yacht Club Restaurant or Bistro de Paris. •	All our guests are met upon arrival by our caretaker. First-time guests are met at the airport, repeat guests will meet our caretaker at Pelican Reef. •	Immediate check-in upon arrival is always guaranteed. In order to be able to offer all our guests this service, our official check-out time is 12:00 Noon. •	Use of electricity, gas, and water are included at normal use. In case of excessive use, we reserve the right to add an extra fee, payable before departure, to cover this cost. •	Weekly cleaning is compulsory. Intermediate cleanings are charged at USD 50.00. Final cleaning is charged at USD 100.00. •	A 20% deposit is required to confirm your booking, the remaining 80% is to be paid at the latest eight weeks before your arrival. Should the date of booking be less than eight weeks before the date of your arrival, the total amount will be required at once to confirm your booking. 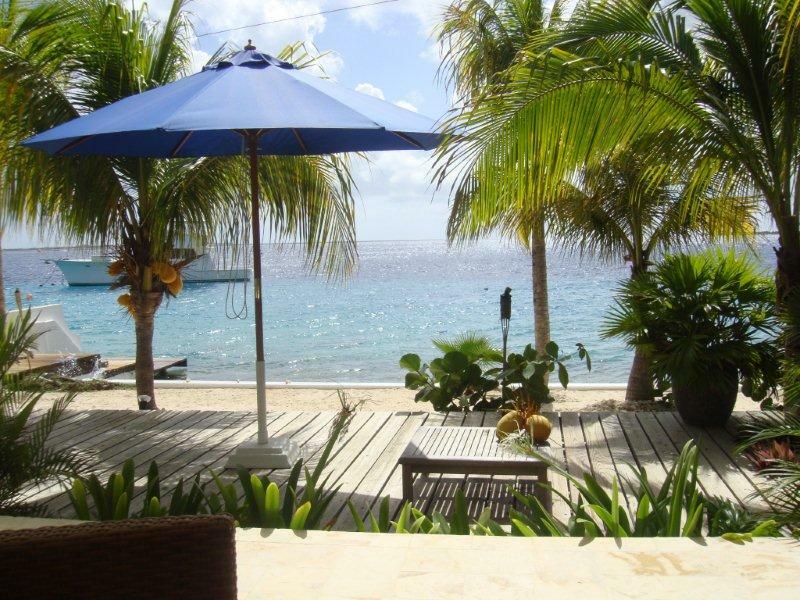 •	The published rates are exclusive of Bonaire tourist tax at USD 5.50 per person, per night. Please note that rates may be subject to change without notice, except, of course, for confirmed bookings. Tourist tax is not necessary for children under the age of 13. This entry was posted on June 30, 2010 at 1:58 pm and is filed under Diving and Snorkeling. You can follow any responses to this entry through the RSS 2.0 feed. You can leave a response, or trackback from your own site.